One of the most exciting new developments, additive manufacturing has burst onto the scene with the possibility of using the technology in a variety of different industries, including both manufacturing and medicine. In reality, the technology isn’t new at all, having been around for three decades but the potential has only recently been really explored, with rapid advances in what’s on offer. A number of different materials can go through the additive manufacturing process; each starts with being laid down, one ultra-fine layer at a time, using layers to bind and shape each piece. It’s this painstaking process which ultimately leads to the creation of the final product. 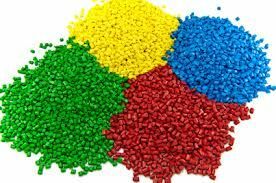 Polymers are one of the most popular materials which go through additive manufacturing often being used in 3D printers sold commercially. However, there are other materials too, such as metals, which are only suitable for use in industrial machinery. Regardless of the material being used, the process for additive manufacturing begins in the same way each time. First of all the design for the item needs to be created; this isn’t as easy as it sounds although a large part of the work is done by the software. Although a lot of work needs to go into the design to create a piece which is physically possible, the process is far quicker than conventional means. The ability to make changes to the project, or tweak the design is far quicker than having to get changes completed than with more conventional manufacturing processes; this is one of the major advantages of the technology. Once a viable design has been agreed upon, the final details are input into the software and it’s this which prepares the theoretical model ready for physical creation. The file needs to be converted into a format readable by the printer, and the software also slices it into a series of wafer-thin cross-sections, horizontal slices which can be viewed virtually. These slices are how the powder will be laid down, and ultimately fused to create the final shape. When you’re ready to print, you first need to fill the machine with a powered version of your desired material. This chamber then releases the powder to be laid down, one layer at a time. Each layer is wafer-thin, sometimes taking days to build up to the full sized model. The powder is solidified by a laser that runs over it gradually layer by layer, starting from the bottom and moving to the top. This design is particularly economical because any powder that’s left over can simply be re-used for the next project, there’s no waste. In conventional manufacturing methods, such as turning, where material is taken away, up to 95% is thrown away and discarded. This makes additive manufacturing a particularly cost effective way of working. There are different types of additive manufacturing processes which can be used to achieve the same result; this can be partially due to the materials being used, but also the end result which is desired. 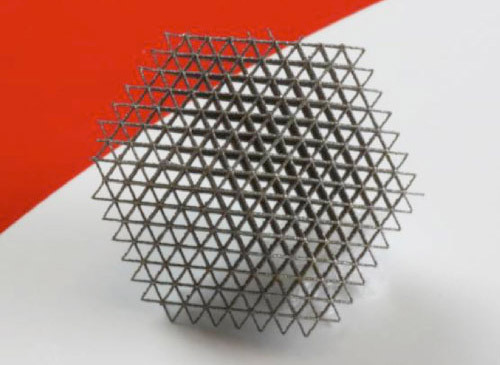 Selective Laser Sintering (SLS) and Direct Metal Laser Sintering (DMLS) are essentially the same process, but with the former typically used for materials other than metal additive manufacturing. 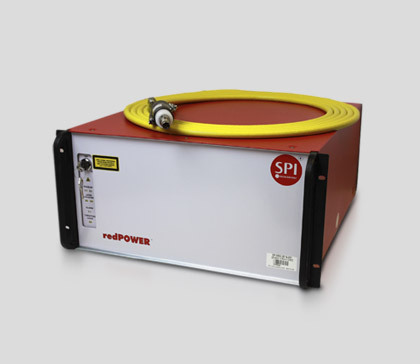 Our redPOWER 500W is the perfect tool for the sintering process. Selective Laser Melting (SLM) is a slightly different process, achieving a full melt rather than sintering the powder. The two different types of processes are very similar but they’re not suitable for everything. Metal alloys which contain different types of materials typically are sintered; this is because they have different melting points so it’s impossible to achieve a temperature which is right for all of the alloys contained within. Metals which have a particularly high melting point may also be sintered rather than fully melted. In DMLS and SLS, the Lasers heat the powder sufficiently for the molecules to merge and bind together. This creates a strong surface which combines and holds the finished shape. Melting takes the process one step further, raising the temperature sufficiently for the metal to fully melt; this then hardens as a new compound. Melting the metal has the effect of creating a surface which isn’t porous, something that can’t be fully achieved with sintering. Having a porous surface may be desirable, and for these products sintering will be required. There is another process often referred to: Laser Cursing. Although there are some very minor technical differences, it’s essentially a type of melting. However, rather than being a generic title, it refers to a trade name, rather like the difference between Ibuprofen and Nurofen. Just to make things even more confusing, there’s a trade name for Laser melting known as DMLS, the same acronym used for sintering! Sintering and melting are extremely similar processes but because there are some key differences which could potentially make or break a design it is imperative to understand the subtleties. We’re always delighted to hear from you, to discuss any aspect of additive manufacturing technology give us a call on 01489 779 696 or alternatively please complete our online enquiry form.